^5 years/130,000km whichever occurs first, for eligible customers. Excludes trays and accessories. 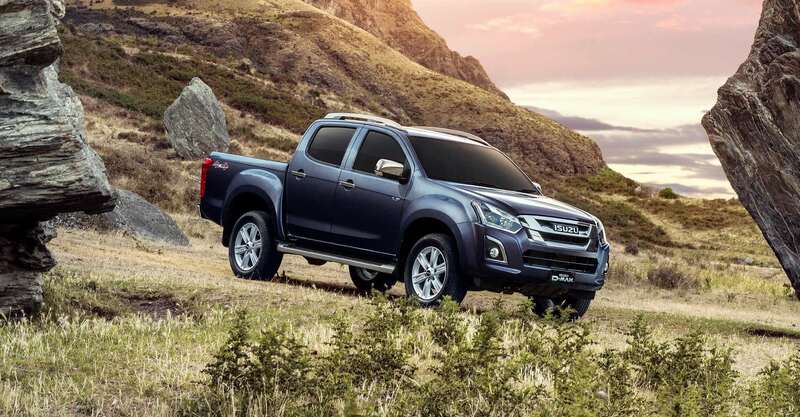 >The Capped Price Servicing Program (“CPS Program”) applies to Eligible Vehicles with a Warranty Start Date on or after 1/1/15 at Participating Isuzu UTE Dealers only. The 5 years Capped Price Servicing covers the first 5 Scheduled Services for 18MY and later vehicle models for up to 5 years/75,000km (whichever occurs first) and for 16.5MY and 17MY for up to 5 years/50,000km (whichever occurs first). CPS Program is subject to change. For full terms & conditions and current pricing click here. ~Year of purchase refers to your vehicle’s Warranty Start Date. Please contact us if you require additional information click here.